A kebab cooks on an infrared grill. Before the 1940s, grilling was mostly done by Americans who were camping. 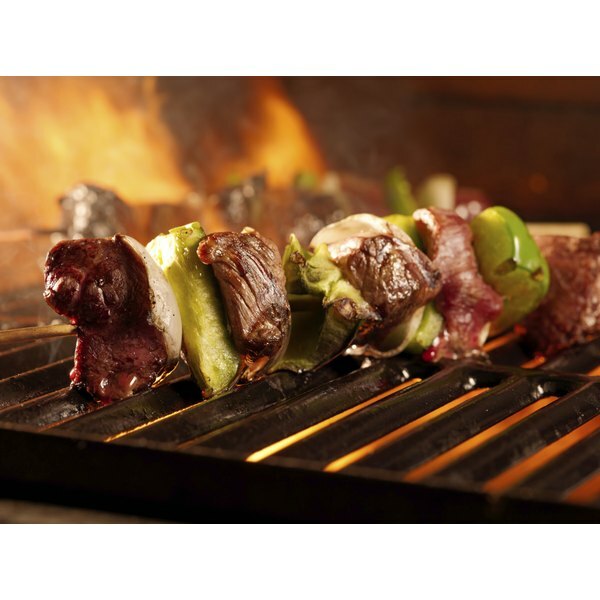 But in the 1950s, grilling became very popular and has continued to grow in popularity since. Barbecue grills are available as gas, charcoal, wood burning and infrared, to name a few. Infrared grills such as the Char-Broil use gas fuel to heat a ceramic plate that then emits infrared radiation, which has a longer wavelength than visible light. Infrared radiation is known for its ability to heat anything that absorbs it, especially dense, opaque materials like meat. Because most cooking techniques do not involve infrared waves, tips on using the relatively new infrared grill can help you cook meats and vegetables to perfection. Unlike other cooking methods that cook through convection, infrared heats the food directly. This means that you don't have to wait for this to heat up. As soon as the gas is on at the temperature you want, the grill is ready to go. If the wind is blowing, a condition that can lengthen cooking times on other grills, remember that it won't change the cooking time with an infrared grill. Play around with your grill to get a feel for it. Infrared grills are known for their ability to sear using the very high temperatures only available from infrared, but they can also be used for long, slow cooking processes. Try searing first and then note the additional time needed when the temperature is reduced. 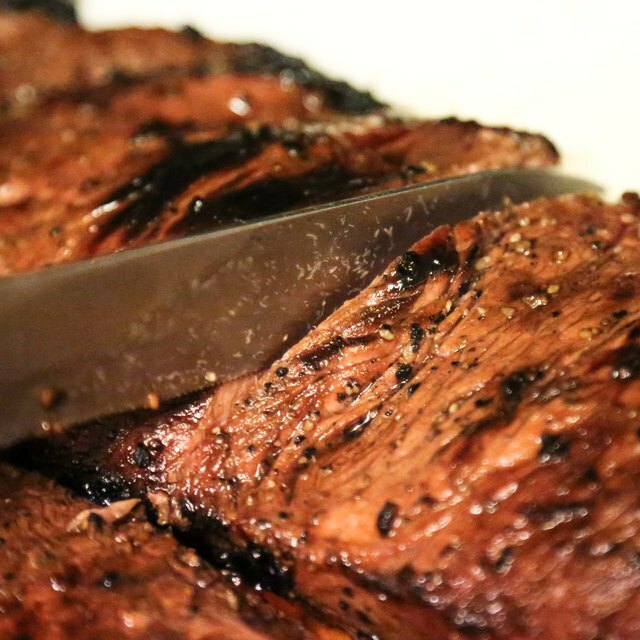 Because of the way an infrared grill cooks, even quickly cooked meats will remain juicy. Cooking using lower temperatures will create a more tender product. Wood chips can be added to produce flavorfully smoked meats. The infrared heat does not produce visible colors, but the wood releases visible light as it burns. Look for blue flames. This is a sign that the wood is burning as it should to produce a nice, smoky flavor. Smoke or other colors coming from the vent might signal damp wood or the wrong heat. Moisture on your meat will evaporate from the heat. This causes the meat to cook from steaming. If the meat is dry, the meat will brown. For most grill cooks, browning is the objective of grilling, so make sure to pat the meat dry before placing on the grill. Oiling the grill before placing the meat on it is not necessary. Instead, to prevent oil from burning away before the meat is placed on the grill, lightly rub or spritz oil onto your meat. Kristina Davis has written professionally since 2006. Her writing is published in "AIDS Care" and various public health newsletters. She has worked on public health programs focused on HIV/AIDS prevention, child nutrition, adult nutrition, diabetes education, worksite wellness and health advocacy. A certified health-education specialist, Davis holds a Masters of Science in nutrition and wellness and a Master of Public Health from Benedictine University. How do I Cook a Prime Rib on an Open Fire?